We think the band Alphaville said it best, “forever young, I want to be forever young.” Everyone, even those who have aged gracefully, still wishes to be young and have the benefits of youth. For many, it is not the fear of death that worries them, it is the fear of ageing. Ageing is no delicate process and can take away old habits you used to enjoy. But, just because you are ageing, does not necessarily classify you as “old.” In many ways, ageing is not a defeater, it can actually be seen as an opportunity to learn new things. However, much of getting older is all dependant on how well you can adjust to change. For example, if you don’t like change, such as getting wrinkles on your face, ageing can be a difficult process to go through. The important thing to remember when ageing is that is it inevitable, but not uncontrollable. There are many steps you can take to ease into your ageing process. When you get older, your health becomes one of the most important things to monitor. In some instances, your health can become unstable due to practices you had in the past. For example, if you smoked when you were younger, your health could have withstood damage that you are now experiencing the consequences. Health in many ways is all you have. If you do not have your health, you can lose the ability to enjoy the greatest parts of life. That is why it is never too late to start living a healthy life. Though living healthier can be an adjustment, it is a necessary one to ensure you get the most from your life. One of the biggest groan-worthy factors of ageing is that you can be told to stay away from certain foods. In most cases, these foods are unhealthy and responds poorly to the health of your body. In many cases, foods, such as sweets, red meats, and certain dairy-based items, are harsh on your body and your digestive system. Though many blame age as the reason they cannot eat certain items, this is not necessarily true. Though meat is an essential food group, humans should not consume red meat often. Though steak seems to be an American delicacy, your health over time can be affected by overconsumption of red-meat items. When you age, healthy activities are encouraged and your poor habits are brought to your attention. 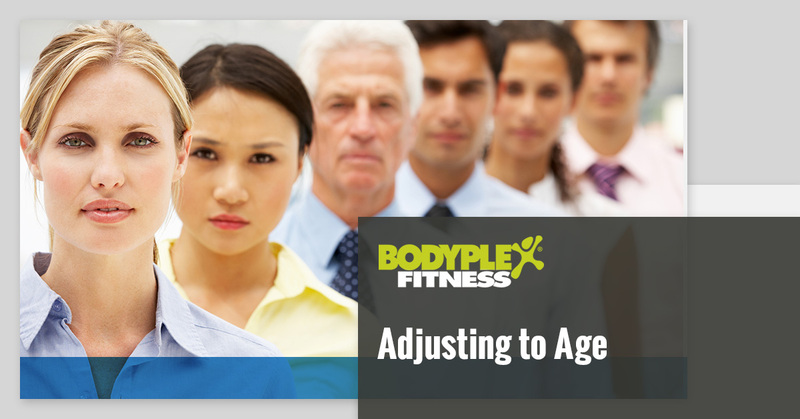 If you can respond well to change and adapt your behaviors, ageing isn’t a difficult process. Eating well will immediately improve your health and help your ageing process in the future. For example, when you adjust your diet to focus on vegetables and foods with high concentrations of essential vitamins, you can help your skin and body health. Diet is so important to monitor as you age. When you coordinate what you put into your body, you can be sure to experience the benefits of certain foods. For example, foods such as ginger, sweet potatoes, and tomatoes, have all been proven to be beneficial to particular organs. Studies have shown that tomatoes contain lycopene that reduce the risk for heart disease in both men and women. Not only are tomatoes delicious, but they can be eaten raw or cooked. Better still, they are easily incorporated into most meals. Sweet potatoes are great for your pancreatic health in more ways than one; sweet potatoes are high in beta-carotene which help the pancreas function. At the same time, sweet potatoes are also filled with antioxidants that help build protective tissues for the pancreas, as well as other organs. Ginger is beneficial to ingest because it can help soothe the stomach. Studies have proven that gingerol, which gives ginger its taste and smell, is a phytochemical that prevents nausea and vomiting. When you change your diet, you can give your body a better chance to fight off sickness, diseases, and any other symptoms of ageing. It can be argued that the importance of foods should never be ignored, however, when you are young, you often don’t think about what you eat and how it affects your body. For example, eating fish, such as salmon, has great benefits! Fish is packed with omega-3 vitamins which is great in keeping elasticity in your skin. Consuming omega-3’s cannot only help your skin but help the consistency of your hair and nail grows. If perhaps you are not a seafood fan, you can always take fish oil supplements to help give your these health benefits. Exercise is key when you are older. In many cases, people gain weight the older they become. This happens for one reason: they stop exercising. Many have blamed metabolism as the reason for increased weight gain. However, several articles have disproven this claim. Essentially, when you are older, you are less likely to exercise, which means your calories aren’t burned off. This can be the result of laziness, aches or pains, or just a lack of motivation. When it comes to excess weight gain, there are many medical consequences. For one, when you gain weight, you put added pressure on your joints, such as your knees. As you age, the cartilage in your knees is depleted. Adding extra weight and pressure to these joints only increases the issues and sometimes, joint pain. An unfortunate fact is that most people stop working out due to their aches and pains. When you age, your body is naturally not as agile as it used to be. Though you have aged, exercise is still a necessity to keep yourself healthy. Though no one expects you to run a marathon, any sweat-creating exercise is highly recommended. If you live in the Jasper or Woodstock, Georgia area, and are looking to exercise, our fitness center is perfect for you. 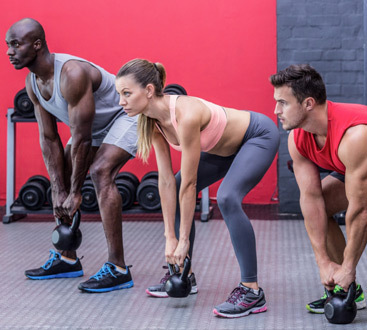 At our center, we offer group fitness courses and personal training sessions. If you are wanting a personal workout experience, we can provide that too! At BodyPlex, we believe it is never too late to live a healthy life. 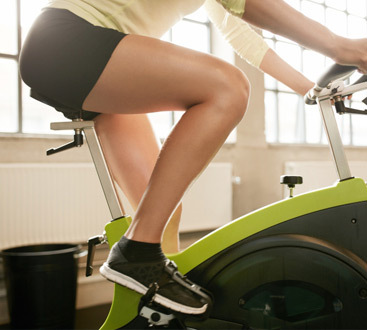 Our fitness instructors are ready and able to handle your needs and training pace. We will be able to work with you and reach your personal goals. If you are interested, contact or visit our fitness center today!